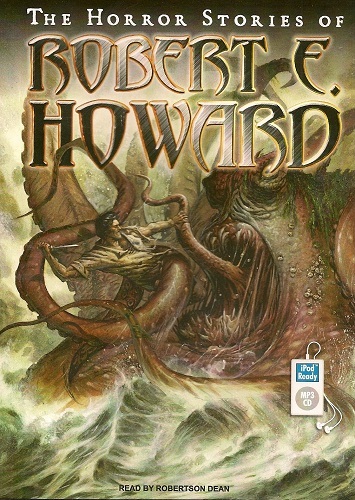 If you’re looking to add a Robert E. Howard story to your reading library, but don’t want to get started down the Conan path, look no farther than The Fire Of Asshurbanipal. It was the cover story for the December 1936 issue of Weird Tales! 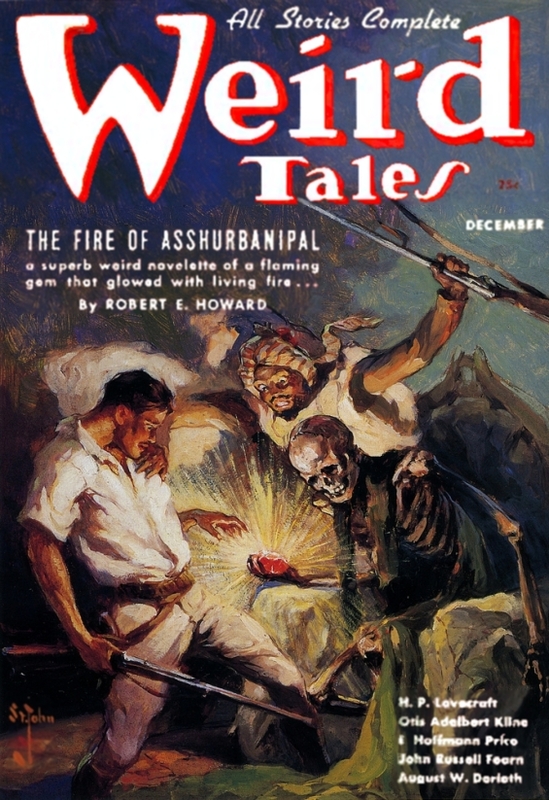 The Fire Of Asshurbanipal was sold posthumously to Weird Tales by Howard’s father, then the only surviving member of Howard’s immediate family. The story features a pair of adventurers. One is an American, named Steve Clarney, and the other is an Afghan named Yar Ali. They make a fun pair. 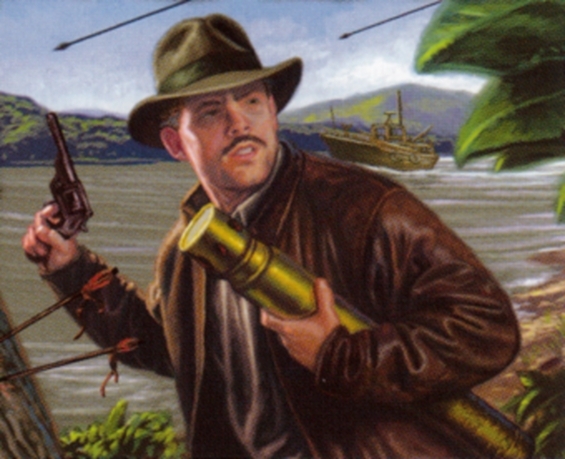 Eric Wilkerson‘s depiction of Clarney, for the Call of Cthulhu Collectible Card Game, makes Clarney look like Indiana Jones (minus the whip), and that’s not wholly wrong. 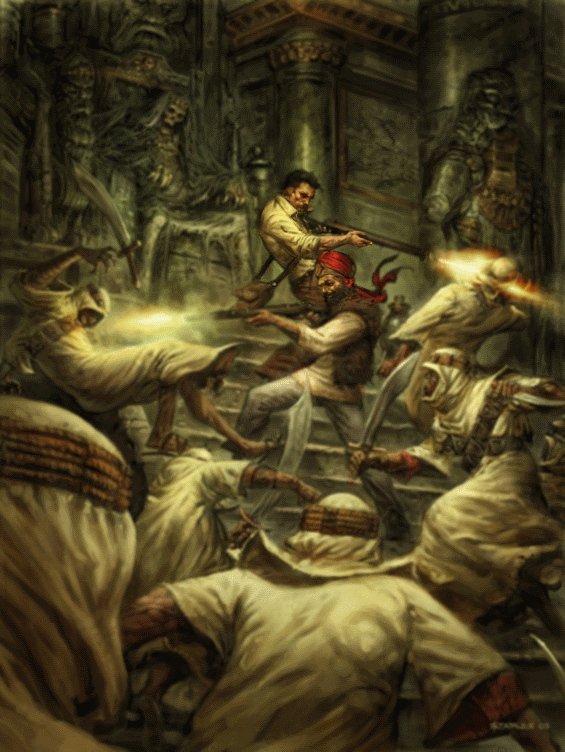 But Clarney isn’t an archaeologist, though he and Yar Ali are treasure hunters, and the period and setting is pretty close. 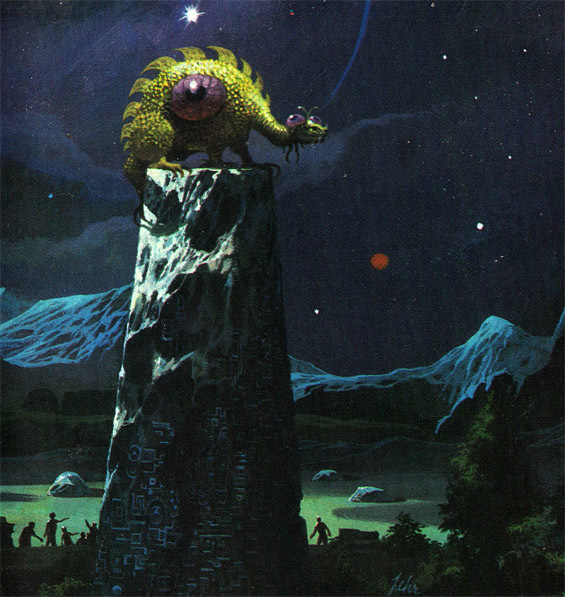 The paper editions feature two stunning images from the story by Greg Staples. 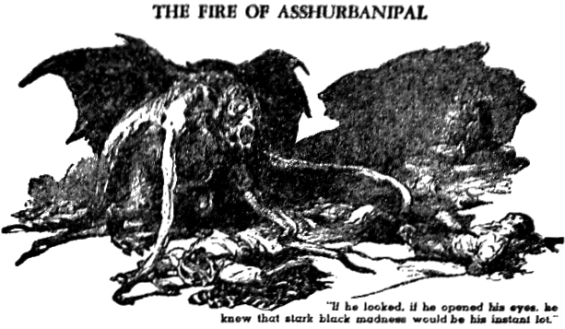 Interestingly, a different version of the same novelette, The Fire of Asshurbanipal, was published in more recent times as a straight adventure story (same characters but minus the supernatural elements). 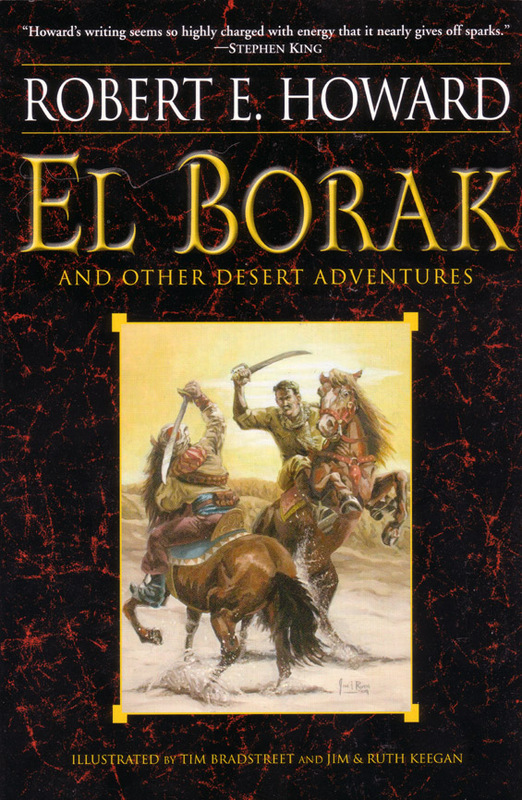 That fantasy-free version and can be found in another Ballantine Del-Rey collection entitled El Borak And Other Desert Adventures (ISBN: 034550545X). 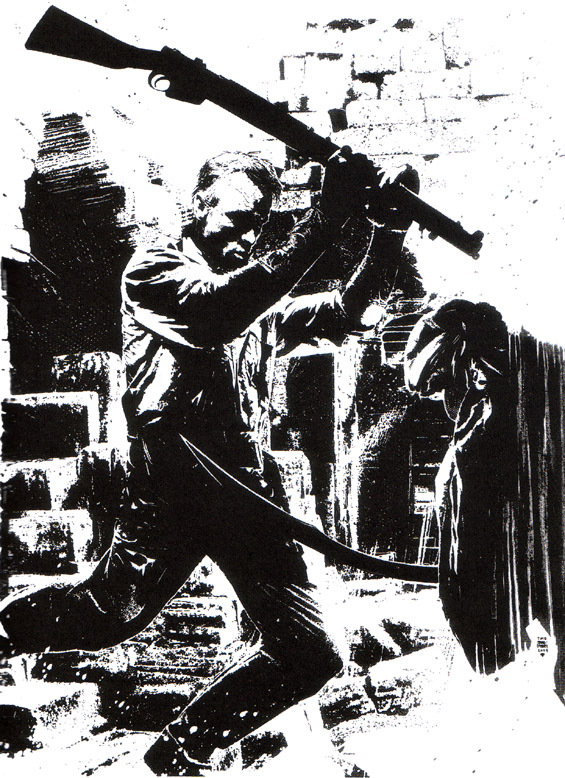 And that one includes wondrous illustrations by the master of comic book covers Tim Bradstreet. 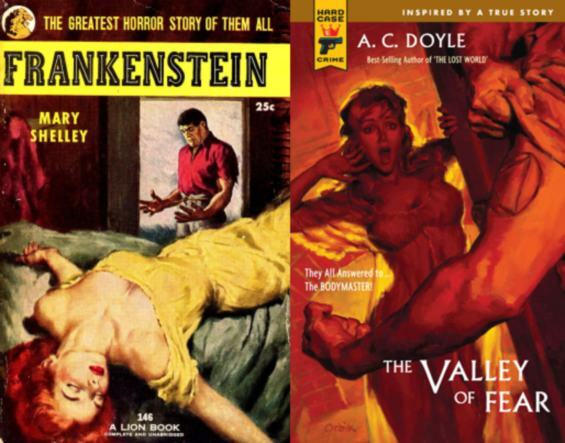 And the version available on Gutenberg Australia’s website is, of course, the original Weird Tales version, complete with references to the Necronomicon, Yog-Sothoth and other sundry Cthulhu mythos details. 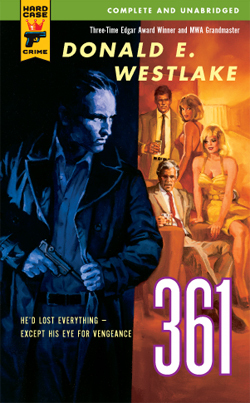 And that’s the version which has recently been podcast by FNH’s Cthulhu Podcast. First published in the December 1936 issue of Weird Tales. That still sounds right to me. 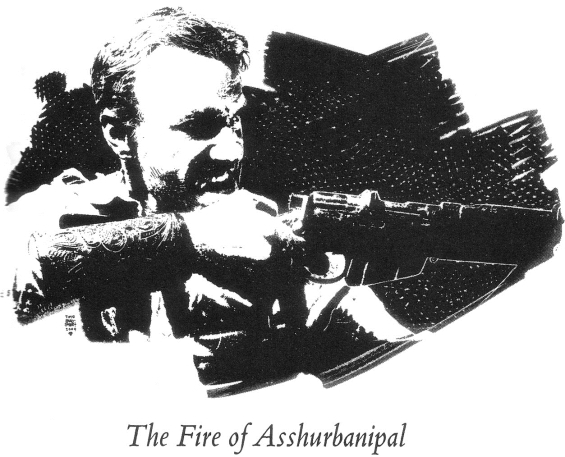 The Fire Of Asshurbanipal is exciting, happily and ornately adjectival, and carries about with it a heft that most adventure fiction can’t really come close to matching. Listening to this podcast edition I’ll admit it possesses a raw power that I still appreciate even today, much later in life. What jars most, of course, is the prominent position given to race, the reliance on instinctual knowledge, and the repeated use of jungle cat metaphors (which feel particularly out of place in the Arabian desert setting). 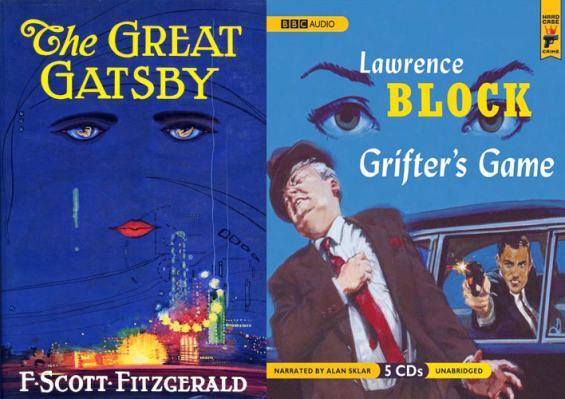 Over on the Black Gate blog Ryan Harvey argues that The Fire Of Asshurbanipal is cut from the same cloth as H. Rider Haggard’s King Solomon’s Mines and Rudyard Kipling’s The Man Who Would Be King. I agree. If you’re looking for more stories like The Fire Of Asshurbanipal I highly recommend another novelette, of more recent vintage, that follows in the tradition very well – That’d be Charles Ardai’s Nor Idolatry Blind the Eye (available in audio as a part of the Audio Realms audiobook Hunt Through The Cradle Of Fear |READ OUR REVIEW| and as an |ETEXT|). 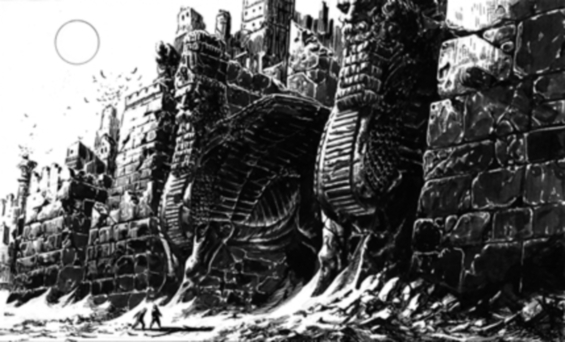 For those who are more comics inclined, check out Joseph Remy’s 40 page webcomic adaptation of The Fire Of Asshurbanipal which begins |HERE|. And in case you were wondering, the Asshurbanipal of the title was a 7th century BC Neo-Assyrian king famed for the creation of the Library of Ashurbanipal which held among its collection the Epic Of Gilgamesh. It is reported that Alexander the Great, upon seeing the great library of Ashurbanipal in Nineveh, was himself inspired to create his own library and that one became perhaps the most famous library of all.